When you first started your business, you were undoubtedly laser-focused on building the best possible product for your target market. It’s also a critical time to start planning for your first sale, which will be one of the most important sales you’ll make during the life of your business. Here are a few tips to help you towards making that first sale. Many entrepreneurs are tempted to hire an experienced sales professional to effectively target the market – but as the company’s founder or CEO, the first few sales should be handled directly by you. After all, you understand your product benefits and your company’s USP better than anyone else – and you can use the valuable feedback you receive at this stage to connect with your customer better down the road. Many larger, established companies have long-standing relationships with their suppliers – and selling to them as a start-up can sometimes present roadblocks that make closing that first sale more difficult than it needs to be. Consider going after young companies that are more open to innovation and change. Nurturing relationships with potential early adopters should be a high priority. Early adopters are crucial to your business success – they don’t rely on testimonials to make a commitment, and they understand the growing pains that accompany working with a startup. These ideal customers are keen on your company’s success and more than willing to jump on board early. Focus on those prospects that have very specific pain points that align with your company’s product. If a potential customer expects your product to solve more than the key issues you’ve promised to address, consider that this relationship might not be the best fit at the current time – and be prepared to move on. When dealing with a small business, identifying the key stakeholder is usually a pretty straightforward process. If you’re targeting a company that operates with executive-level teams and purchasing departments – each with its own key decision-makers – you have to know and work the system to get your product in front of the right people. Consider focusing on reaching the leaders of the teams and departments that will actually use your product in their day-to-day jobs – not necessarily those who will be making the buying decision. Tech startups often have a vision of where their product might end up after further development. When you’re selling to your first few customers, focusing on future iterations can make you appear less confident in your product’s current effectiveness. It’s important to stay focused on how you can help solve your customer’s problems today. 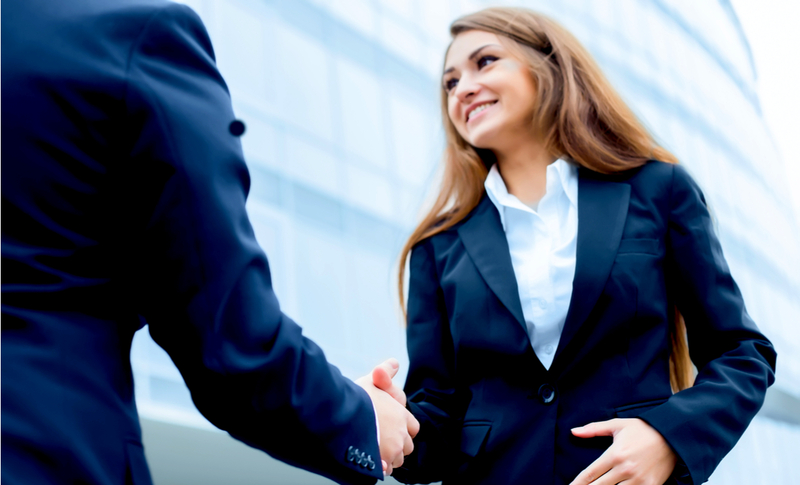 Form a partnership with an established enterprise that is well respected in your industry. You could offer a discounted rate or even a free trial in return for an endorsement, and be sure to follow their progress. When a prospect becomes aware that you’ve partnered with someone they know and trust, it creates instant credibility that can create momentum towards that first sale. Even in today’s increasingly internet-driven market, in-person meetings are crucial to your first sale and your company’s future success. But how do you land that kind of commitment from a potential (very busy) prospect? Contributing editor Geoffrey James with Inc.com recommends starting an email conversation to get a bit of back-and-forth going and gauge a potential prospect’s interest, without applying pressure. From that initial response, you can follow up with that all-important second email, where you request to set up an in-person meeting. Getting your first sale takes careful, dedicated planning pre-sale and consistent follow up after you close the deal. By incorporating these tips into your sales strategy early on, you’ll develop the confidence you need to convince your customers that your product is the best – and only – solution worth considering. Start and Grow Enterprise’s free business support courses help you to define your customer, improve your marketing, and plan your strategy – whether that’s making your very first sale, increasing your customer base, or expanding your product range. Contact Start and Grow Enterprise today.